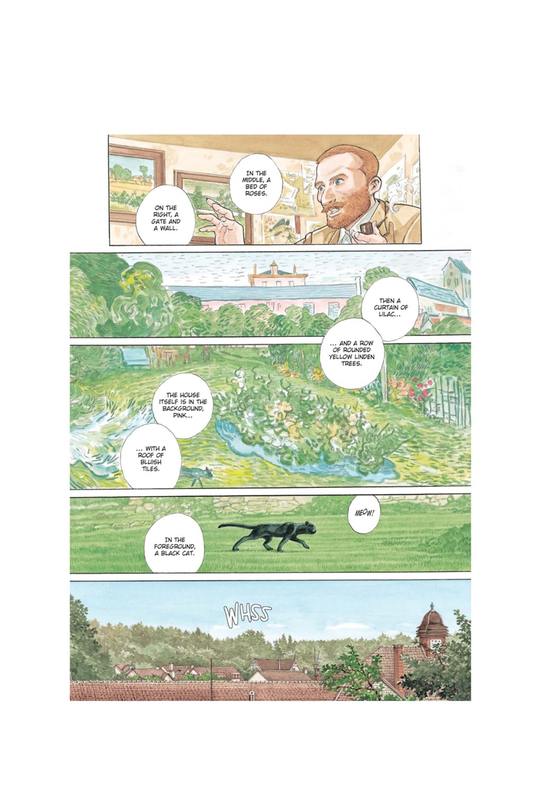 Commissioned by the Louvre as part of The Louvre Collection—a series of graphic novels by various creators based upon the museum and its collection of works—Jirô Taniguchi’s Guardians of the Louvre is the tale of a Japanese artist’s fevered wanderings through the museum as he finds himself reliving moments from the history of the museums and its artwork. Make no mistake, Guardians of the Louvre is a lovely looking book. Taniguchi’s full color art is absolutely beautiful, and readers will find themselves being transported to the Louvre through it, much in the same way that the protagonist is transported by the works of art he encounters. The warm water colors look amazing, and he does an excellent job at conveying the physicality of the paintings featured throughout the story. The moments when the main character crosses over into the other time periods are quiet and fluid, reinforcing the dream like nature of the proceedings. These quiet, dreamlike moments are the book’s highpoints, with the visit to Van Gough’s countryside standing out as a particularly atmospheric and visual treat. Unfortunately, the artwork and the dreamlike atmosphere it conveys are about the only things that Guardians’ has going for it. One of Taniguchi’s dream like transitions. At the heart of Guardians of the Louvre is… nothing? There’s little at stake here, and while the climax attempts to force some emotional response from readers via the introduction of a former lover. Unfortunately, it’s a case of too little, too late. For over one hundred pages readers are treated to Taniguchi’s gorgeous artwork and some interesting historical tidbits, but not much else. Yes, it’s nice to see Taniguchi render the evacuation process of the Louvre on the eve of the Nazi invasion, but the text is presented in such a way that it feels almost encyclopedic—dry and devoid of drama or tension. This leaves Taniguchi’s artwork as the only compelling reason to turn the page. 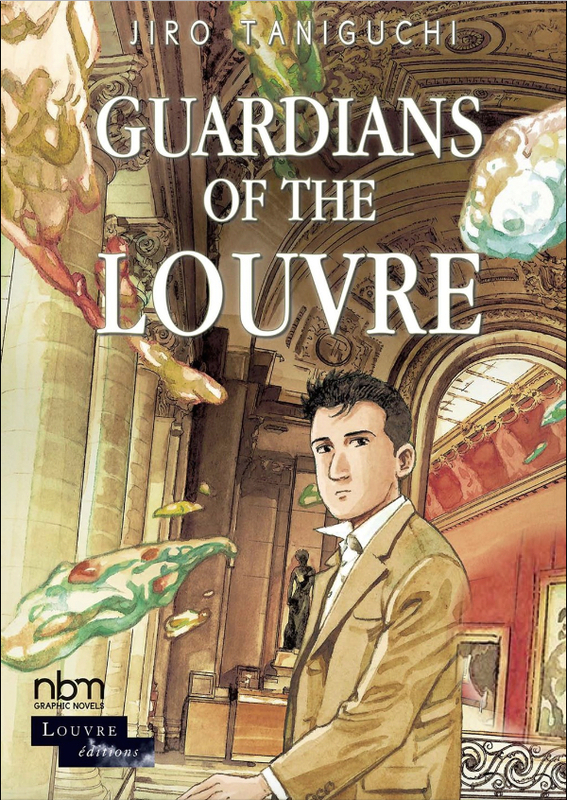 With gorgeous art and a meandering story, Guardians of the Louvre ultimately feels more than a little pointless. There’s no true story or drama, and the book simply lacks a compelling narrative at its core. Readers simply watch this unnamed Japanese artist wandering from encounter to encounter with no conflict or compelling stakes. As a result, it ends up feeling like an idle daydream; something to be forgotten once you’re through with it. Guardians of the Louvre is available now from NBM Publishing.